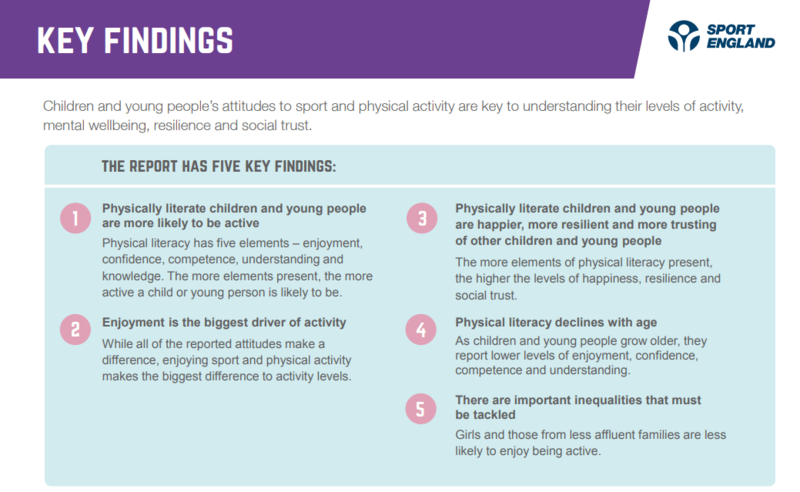 Girls are less likely to enjoy or feel confident about doing sport and physical activity than boys. Boys ages 5-7 years are more likely to enjoy sport, whereas girls of the smae age are more likely to enjoy being active. Children from the least affluent families are less likely to enjoy activity. 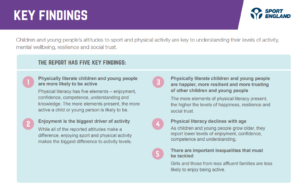 Click here to view further findings and the full report here.